Researching and writing Whale in the Door inspired me to create a book club to read Indigenous authors. It’s part of my Knowing Our Place initiative. The idea is to learn about Indigenous culture, governance and worldview from those who live it and write about it. 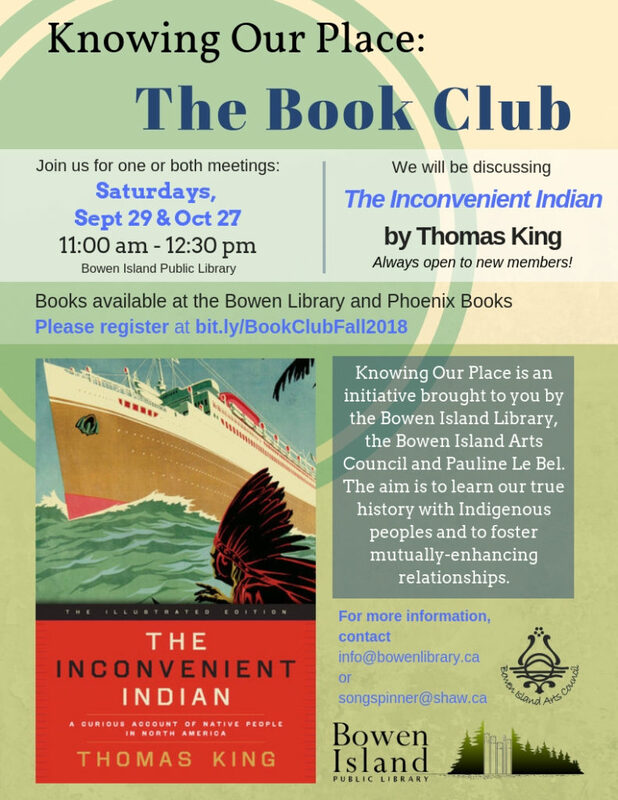 The monthly gatherings take place at the Bowen Island Library. We began last March with The Truth About Stories by Thomas King. The group wanted another month to sit with this important book and it was decided to spend two months on each book. This decision has led to deep and thoughtful reflection and discussion. For May and June we discussed My Conversations with Canadians by Lee Maracle. The September meeting is full with a waiting list and the October meeting has two spaces left. I’m looking forward to the learning that happens when hearts and minds are open.